As every fan of the Flash knows, the Scarlet Speedster has one of the best rogues gallery in comic book history, ranking only behind Batman and Spider-Man. The show’s first two seasons did an impressive job of introducing many of these notable enemies, from Captain Cold and Heat Wave to Reverse-Flash and Zoom. However, there are still a prominent Flash foes who have yet to be seen yet, one of them being Mirror Master. Fortunately, it’s finally been confirmed that the reflective reprobate will appear in Season 3. 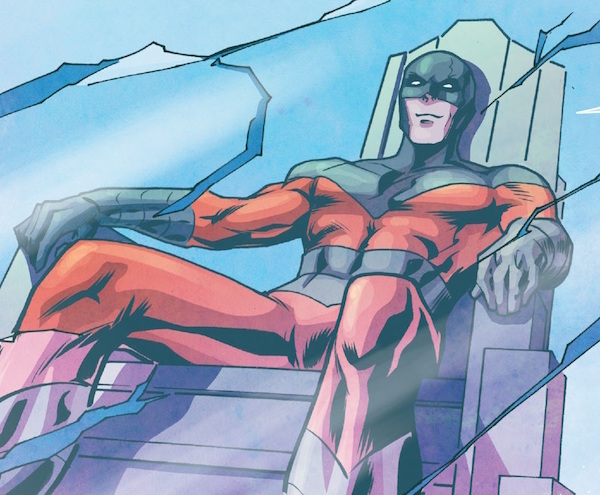 While we wait for his CW DCverse debut, here’s a basic rundown on Mirror Master’s history, both in the comics and other media. Just like his fellow Rogues Trickster and Captain Boomerang, there are two Mirror Masters in the comics. The first is Sam Scudder, a career criminal who debuted in 1959’s Flash #105. Sam grew obsessed with finding a way to traveling into mirrors, and once he accomplished that, he dubbed himself Mirror Master, fighting Flash solo or as a member of the Rogues for many years. He eventually died during Crisis on Infinite Earths, though he would later return as a Black Lantern in Blackest Night, and he left behind a “In Case of Flash, Break Glass” mirror weapon for the Rogues to use against Barry Allen if he came back. When the New 52 began, Sam was restored to life, except this time, he had natural superpowers. The year before the present day New 52 Flash events, he and his fellow Rogues merged with their weapons via a strange device, but an accident during the merging caused these powers to develop in weird ways. In Sam’s case, he was trapped in the Mirror World, unable to physically interact with anyone. Fortunately, he was restored to form before Forever Evil, and like Captain Cold and Weather Wizard, he’s back to using gadgetry rather than abilities. In between Sam Scudder’s death and New 52 revival, Evan McCulloch, introduced in 1989’s Animal Man #8, served as the second Mirror Master. At age 8, Evan was assaulted by one of the other children at his orphanage, forcing him to kill the attacker in self-defense. As an adult, he became a hitman, but during one of his jobs, he realized after taking the shot that the man he killed was his father. His mother committed suicide days later, leading him to almost turn himself in until a group of U.S. government officials and important businessmen approached him about doing work for them using Sam Scudder’s mirror gadgets. Evan briefly cooperated with them, but then eventually broke off from them and made a name for himself as the new Mirror Master. His first superhero foe may have been Animal Man, but upon moving to Keystone City, he became one of Wally West’s most dangerous foes. Along with the Rogues, Evan also served in the Injustice Gang and Suicide Squad. Even though he hasn’t appeared in the comics in years, that doesn’t mean that the Flash TV series won’t use him at some point. After all, The Flash Season 1 featured both the James Jesse and Axel Walker Tricksters, so maybe the Mirror Master title will also be passed on. 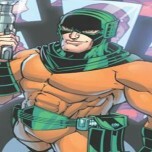 Outside of the comics, Mirror Master has appeared in a number of other media projects. He was first played by David Cassidy (father of Arrow’s Katie Cassidy, the Black Canary) in the original 1990 Flash TV series, though he never donned the classic orange and green costume. His animated TV appearances include guest stints on Justice League Unlimited, The Batman, Batman: The Brave and the Bold and even the first Robot Chicken DC Comics special. Movie-wise, he was one of the villains Vandal Savage recruited to destroy the Justice League in Justice League: Doom, while he also cameoed in the beginning of Justice League: The Flashpoint Paradox as one of the Rogues Professor Zoom hired to attack Flash. You can see Mirror Master antagonize Grant Gustin’s Barry Allen sometime during The Flash Season 3, which premieres Tuesday, October 4 at 8 p.m. EST/PST on The CW.